The following is a guest blog-post in the form of a written interview by Feisal Khan a male cupping therapist from Singapore. My name is Feisal Khan, age fourty-three. My birth date is 02.03.1967. I was born in the Republic of Singapore.At the age of twenty-seven, I joined the muslim missionary for the propagation of Islam to the Republic of Indonesia.While in the Island of Sulawasi, Indonesia, I learned “Blood cupping” from a group of Pakistani missionary. I was able to have many practical experiences due to the missionary activities. As I came to know more of it as a “sunnah”, it gives me implicit desire to improve and help others. I managed to do self-study on reflexology. As a “two-way” traffic system, I performed Bloodcupping, together with reflexology in my therapy. Blood cupping, which is known as “Bekam” in the Malay language is much accepted in this part of this region. ( South-East Asia) In Indonesia, this practice is known as “Kop”. 2. What particular illnesses/conditions (if any do you specialize/had the most experience in? Stroke patients,( combination with reflexology for quicker recovery) Migraine, Blood Pressure, Diabetes, Back pain, Pain management (minimize pain from Injury), Improvement in the cure of Tumor- Cancer cells (management) Improve circulation of blood in the body. 3. What is your experience in the field of Hijama that you can speak volumes of its effectiveness? From the days of volunteerism from the year 2003-2004, I had performed Bloodcupping together with reflexology for many patients. In the year 2005, I started a clinic under the name of “Singapura Darul Iman- School of Healings” the primary aim being to introduce Bloodcupping as a form of alternative therapy. Due to operating cost I ceased operation. I am providing my services from home. Al’hamdulliah, with all humbleness, till this day I had performed “Bloodcupping” for about 4,700 patient. Many are grateful for my help and services in providing this sunnah. 4. As a Hijama therapist, how often do you get hijama done yourself, and what for (if any specific condition) and who do you go to get it done (since it is not easy to self-administer)? Keeping fit and maintaining good health is of paramount importance for all therapists. My wife performs Hijama on me. I will have it done almost every forty day interval. My wife is a therapist, performing Bloodcupping on ladies only. 5. Where is your clinic and how to contact you? Presently, I am operating from home with little cost. Thus I am able to charge minimal toall my patients. The charge is about USD 30 for whole body cupping per session (21 cups or more) together with reflexology. Additional cuppings on other parts of the body (legs/hands) is not chargeable. My address is Block 19 # 03-25 Bedok South, Republic of Singapore. I am illiterate in computer’s knowledge. I do own a computer. Thus all my communication is made through telephone. I highly recommend all to go for “Bloodcupping”, because it is a sunnah of our beloved prophet Muhammad (peace be upon him). Please contact me for any clarification or should you need any advice in this matter. My Mobile Handphone is +65 93224297. Alternatively, you may contact my friend – Mr Mohamed Farouq Basha Ibn Abdul Khader, at his mobile number +65 96230808 or email him at akm1956@singnet.com.sg. He will liaise with me. Please, Welcome to visit my country and experience the warmth and smile of the multi-racial people of the “Republic of Singapore”. 6. 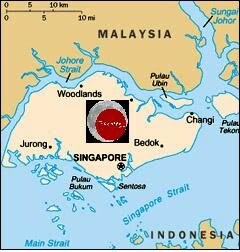 What is the overall prevalence of Hijama therapy in Singapore? Is it available in hospitals and clinics as a valid alternative/Sunnah therapy? It is not available in Government or private clinics as an alternative therapy. From traditional medicine arena, this is being provided by the Malay community by individual therapist. The Chinese traditional doctors known as “sinseh” provide cupping (dry/wet) on a large scale, which is called “gua-sha”: The Indians community living here, do not provide such activities at all, except dispensing traditional Indian medicine known as “Ayurveda” medicines. 7. What is your hope and aspiration for this “cure” the sunnah which is being pushed into obscurity? This is a miracle cure, the result is immediate. I sincerely wish and hope many people all over the world will experience this therapy, known for its efficaciousness. Let no Muslims be ignorant of this great sunnah. It has with it the hidden secret of curing and maintaining good health. As a smallest act, if you do not merely see it as a “cure”, just do it to copy the act of our “beloved prophet” – Muhammad (SAW). My vision and mission, is to spread this sunnah for the benefit of all mankind and all must be able to afford this form of cure. 8. What are the dates/times and how often is this cure recommended? The days of sunnah are on the 17th, 19th, 21st (of the months of the lunar calendar). When the prophet Muhammad (SAW) and his companions were poisoned by a Jew woman, Al-Hijama was done immediately on him and other companions. There was an instance where he falls from the horse, and Al-Hijama was administered to remove the clot and pain. When one is badly sick, immediate attention/treatment must be given, then it does not matter about any date/days ( E.g. Blood pressure with blur vision, Stroke due to clot in the brain and others – immediate attention must be given). The actions by our prophet shows that flexibility may be exercised, where and when necessary. Not many are able to strictly follow the dates of sunnah due to various commitments. Days of sunnah are a fine guidance. We are not breaking the rules but bending the rule by examples of our prophet in the modern era. So either way , you are not wrong. Blood cupping is advisable to perform in the morning when the flow of blood is vigorous upwards. It is encouraged to do Bloodcupping on an an empty stomach to derive maximum effectiveness. To maintain good health it is recommended to have bloodcupping at an interval of fourty days (or more often). This may vary for those with different types of diseases and as per the ability of an individual (strength). Views expressed here are based on my experiences. Our thanks to Feisal Khan for sharing the above post. If you have any questions for him, or if you have a patient of his and want to leave him a testimonial, then please leave a comment* below. rience via a guest blog-post like the one above, please send me an email to: hijama.mail@gmail.com.